I’m really happy with how this one turned out! It’s nice and simple, though rather than laying it out in a random layout, I had fun playing with the fabric/color placement to create this pixelated rainbow. I decided to quilt it with a circle in each square (quick tutorial here), as I did with this patchwork quilt. I like the look, even though it takes a bit longer and requires more maneuvering than straight lines. This cat dream print is one of my favorites from this line, and I think it makes a mighty fine backing, especially when paired with a rainbow of the remaining solids! Binding is a narrow brown and white stripe by Lecien. And as for the photo location? I just couldn’t resist the ice on Lake Champlain. It’s not often that the lake freezes this solidly (not since 2007, according to google), but with it being so cold this winter, the lake has a very solid covering of ice. When we took these photos a couple weeks ago, the lake at the Burlington waterfront was busy with people and dogs walking, sledding and skating. I find it so fun to be able to walk out there – Morgan, not so much. He was definitely wishing that someone else was the quilt holder this time around! 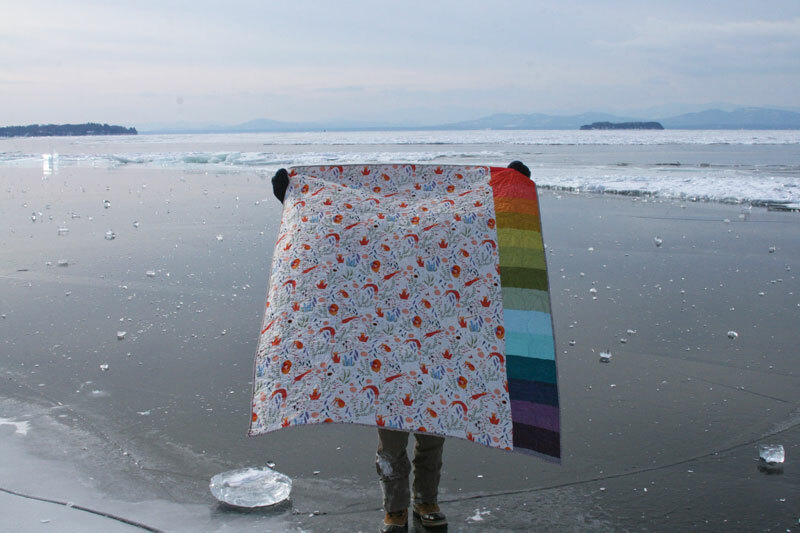 This quilt uses all the prints from Lizzy House's new Catnap line. I've also included a number of coordinating basics and solids. Catnap is available in many shops, including those of many of my sponsors. 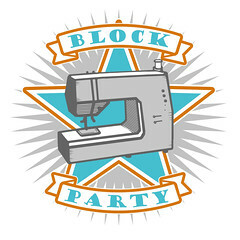 Original post about this quilt can be found here. This entry was posted in [search] Charm Quilts, baby, Fabric, Posts about Quilts, Quilts and tagged andover, baby quilt, catnap, handmade, lizzy house, michael miller cotton couture, pixelated rainbow, rainbow quilt. Bookmark the permalink. What a location! 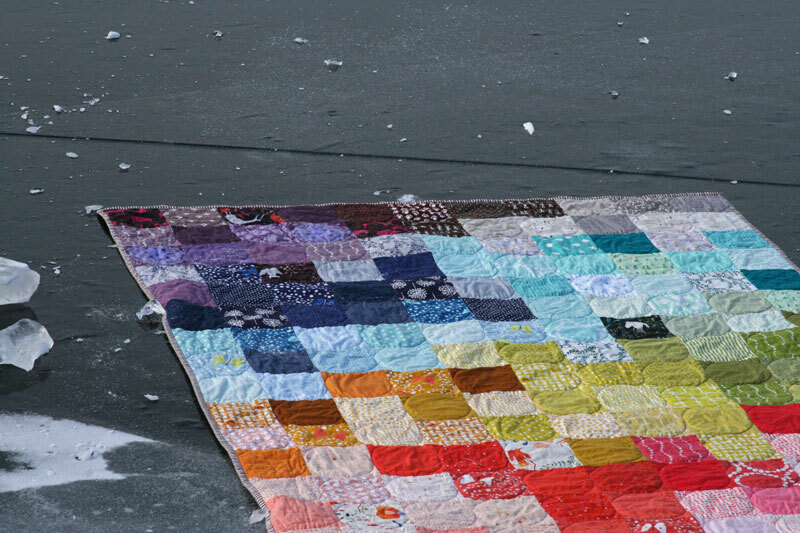 Great quilt, but I’m just stunned by those giant boulder-like chunks of ice – not like anything I’ve ever seen (certainly not in Melbourne, Australia). Very pretty. You went the extra mile for your display. Thanks for sharing. WOW! Oh my goodness that first picture just too my breath away. Really, what a great shot! Geez it must have been cold though. Full points for commitment! 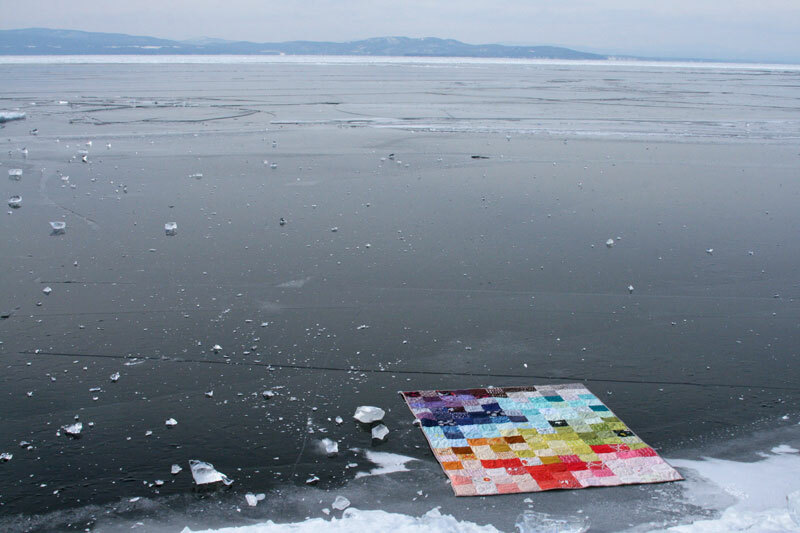 Your quilt is beautiful and that first photo with the colors popping against the gray ice is especially stunning. What a fabulous quilt, absolutely love this! Wonderful! and great location. Don’t you just love finding fun places to take pics? Beautiful quilt and awesome location! That cat dream print was my favorite too. 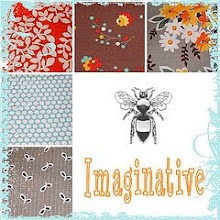 But when I saw the aqua/light blue butterfly print I traded for that. Very nice quilt! I think this one is my favorite of Lizzie’s collections. I’m with Morgan when it comes to walking on the ice! Ashley…are your quilts on Pinterest? Oh, WOW! What a great way to bring some warmth into such a frigid location. Beautiful quilt! Wow! 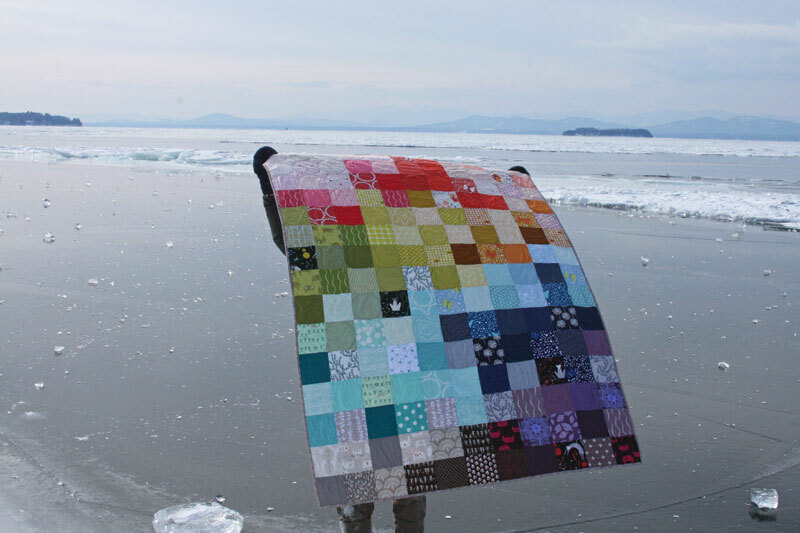 This quilt is spectacular and your photo session is fantastic. I love your artistry in this blog post. Thanks for showing us your final result. The quilt has a wonderful patchy feel to it. Love the circle quilting. And the photo shoot location could not be more neat. Awesome! Love the quilt,but my first thought when I saw the first photo was that it made me nervous. I’m with your husband, don’t care how thick the ice is, not my cup of tea! Thanks for all the beautiful things and ideas you share with us. AND coming from a ‘granny’, it is very nice to see so many young quilters. We need another generation to carry this on and you all are doing a great job. Those photos are so cool! That first picture is iconic. Death-defying. WOW! Amazing pics. 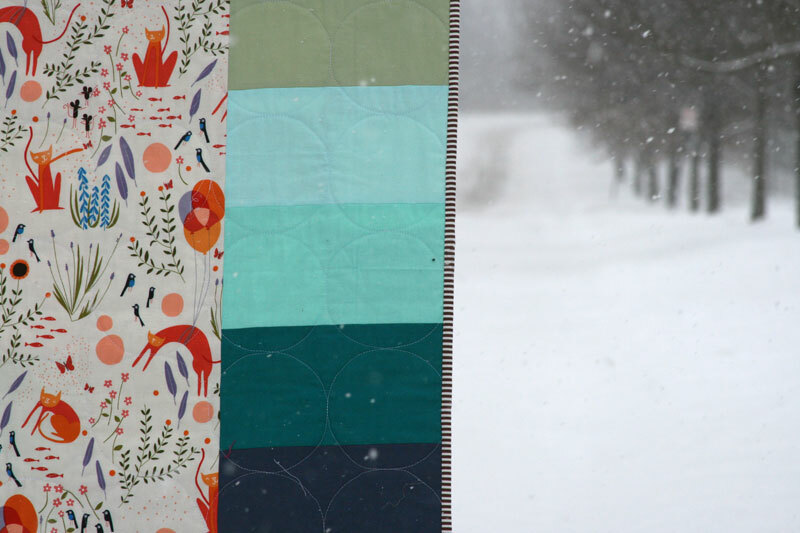 In the first one, the quilt looks as if it’s floating on water….Love the quilt. Um, amazing! I love that quilting! I happened to be visiting Burlington in winter 2007, I have a picture with my friend standing on the lake, I thought it was always like that in winter, so beautiful! That picture on the ice is priceless and love the quilt too. Beautifully done as is all your work.